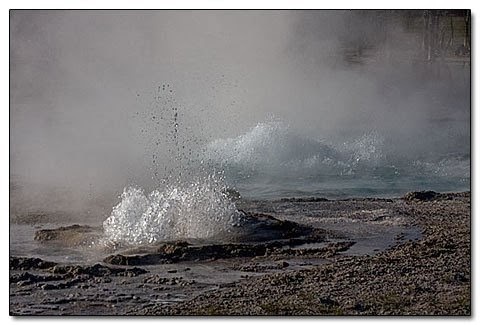 Wyoming plays host to a sleeping super volcano, located in Yellowstone Park, where the earth bubbles, spits and spews, and occasionally lets out some fowl-smelling stinkers. Signs warn of the dangers; people are killed or injured every year, either messing with the local animals or stepping off the beaten path. Moreover, I paid 25 dollars for this thrill ride! It was worth every penny spent. I went in several times, since the pass is good for more than one day. The first day, I went through the gate after following the Grand Tetons for hours and wound around in one section of Yellowstone Park. 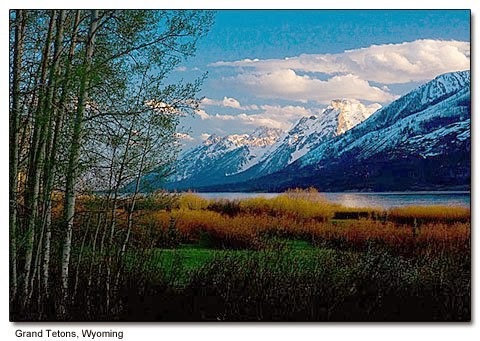 A few days later, I needed to drive from Dubois to Cody, Wyoming; fastest way to get there was go through the park. The direction signs confused me and I thought the northeast gate was the east one. When I exited the park, I saw the sign "Welcome to Montana." I took a wrong turn somewhere and my four-hour trip turned into a seven-hour one. The good thing was I traveled through incredible country; I would have missed it had I left out the east gate. On my last day in Wyoming, I needed to travel to Missoula, Montana, my final stop on my journey. Back through Yellowstone Park was the most direct way from Cody, to get where I was going. It was also the last day of my pass to get into the park. This time I was going to pay better attention to the signs and the map of the park, so I wouldn't end up in Idaho or back in Wyoming. I traveled to the east gate and waited patiently in a long line of cars, to go into the park. When it was my turn, the park ranger looked at my pass, then looked at me and said, "Which gate did you get your pass from?" "Um, um." I hesitated. Was this a geography test? "Where the big mountains are?" I offered him a smile. What if I gave him a wrong answer? Would he take my pass away and make me pay again? Then I remembered. I came in from the south side of the park, and I was here on the east side—the gate I was supposed to exit from a few days ago, but drove out the Northeast one by mistake. "Oh wait! I bought it at the south gate!"